Have you ever been interested in going to the Philippines for an exposure trip?! 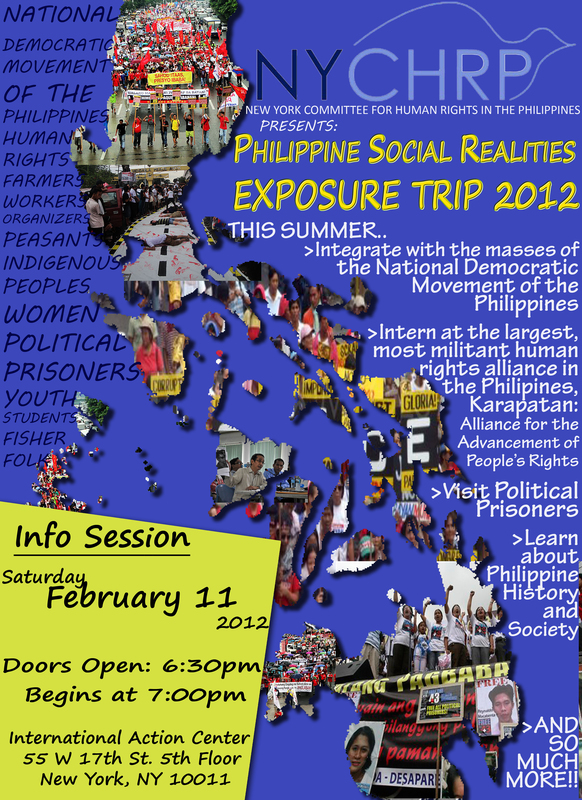 Ever wanted to be immersed in the HEAT of the National Democratic Movement of the Philippines?! This summer NYCHRP is going on a Philippine Social Realities Exposure Trip and we want YOU! Join us for a special information session to find out about the awesome summer that is to come!